The Honour Roll records how many runs each hasher has done, and how many trails they have set. T-shirts and other prizes are awarded for reaching milestones. 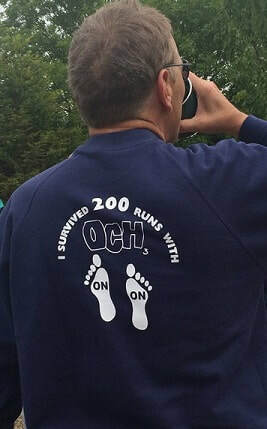 In order to be on the honour roll you must have done at least 10 runs in total with OCH3, and have run at least once in the past 12 months. If you have any queries about your Honour Roll entry please contact Hash Cash. The full Honour Roll is downloadable below, last updated to run no. Run 1659, Sunday 24th March 2019.